If you have a high school yearbook, you know it's traditionally a place where people document all the things they thought were cool at the time so they can eventually pull it off a dusty shelf at their parents' house years after graduating and realize how truly misguided they were in their younger years. A yearbook is a portal to the past -- it's a place people can turn to when they want to remember a time when people rocked frosted tips with confidence and valued zip-off cargo pants because of their practicality. Without them, the world would have a much harder time identifying the many mistakes humanity has made throughout history and an even harder time ensuring we don't repeat the errors of our predecessors. 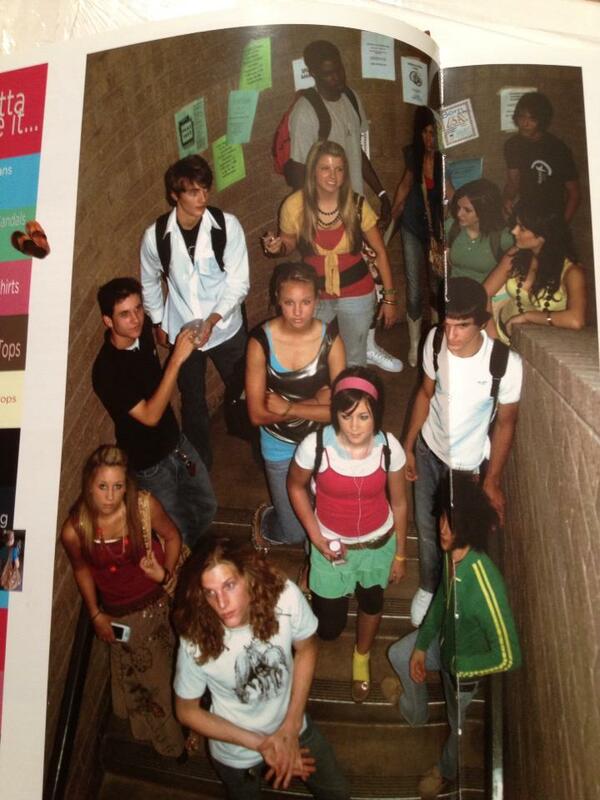 What I'm really trying to say is high school yearbooks are the glue that holds society together. They might be filled with regrettable moments, but that doesn't mean there aren't also moments of brilliance hidden inside the pages. I bet his name isn't even Patrick. 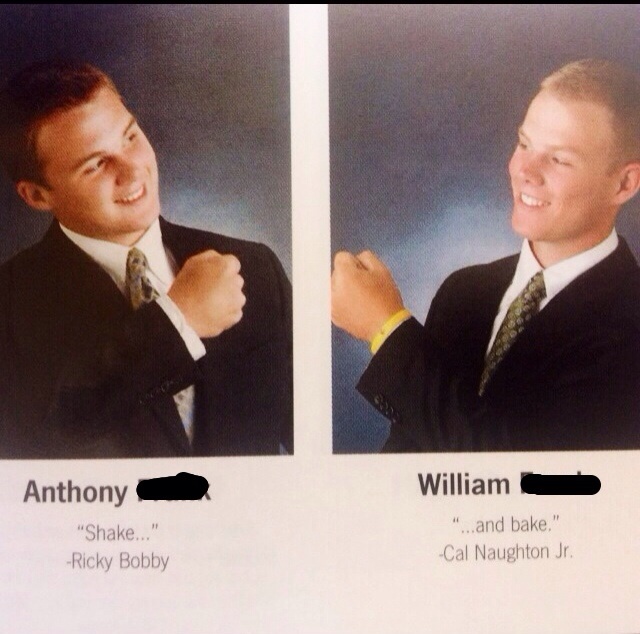 It wouldn't be a high school yearbook without a quote from a Will Ferrell movie. It looks like they might have flipped the image, but I guess there's no shortcut for that. 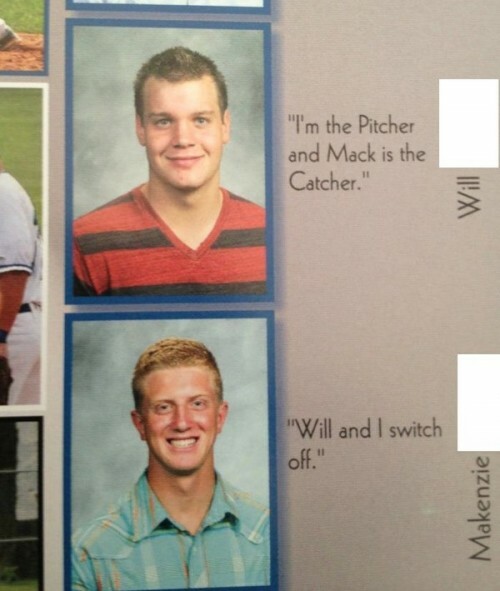 He's the Batman of his yearbook. 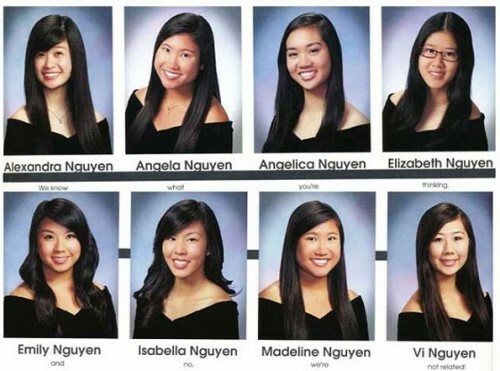 I'm glad these girls decided to sacrifice their own quotes for the greater good. If your mind doesn't immediately go to baseball... you have no one to blame but yourself.